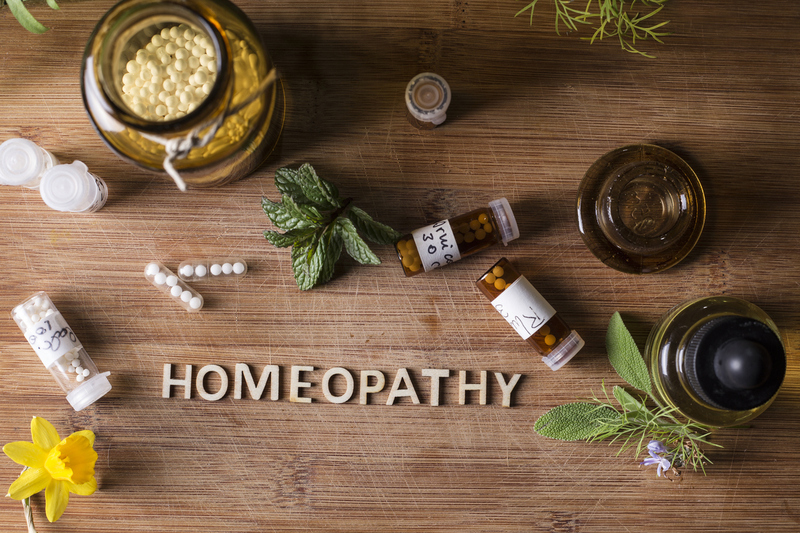 Homeopathy, also referred to as homeopathic medicine, is based on the philosophy that the body has the ability to heal itself. It had its beginnings in the late 1700's in Germany and gained widespread practice in Europe before being utilized in America. It is based on the idea of "like cures like" . If there is a substance that causes a symptom in a healthy person, than administering a very small amout of he same substance may actually cure the illness. A "homeopathic dose" enhances the body's healing and the ability to self-regulate. Homeopathic remedies can take many forms such as tablets, liquids, pellets, tinctures. Some of the benefits of homeopathic remedies is that they are virtually side effect free, have minimal intereaction with western medicines, and because many formulations are taken as a sublingual(under the tongue) preparations, they are not associated with GI(stomach) irritation issues present with many western medications. The homeopathic remedies make excellent supplementation for the athlete, wether it be for improving performance or enhancing recovery. Because many remedies are adminstered sublingually, they are fast acting, and certainly this is a benefit for the athlete especially before, during, or after competition. Homeopathic remedies can also be injected to areas of the body and when done so is referred to as Acupoint Injection Therapy or Biopuncture. This is an excellent therapuetic treatment for pain syndromes. Because of the minute doses used in homeopathy, the medicines labeled for internal use are non-toxic. When properly administered, the medicines are completely safe for everyone including pregnant women, newborns, children, and adults through the senior years. Many veterinarians use homeopathy in the treatment of animals. There are no known or suspected contraindications or drug interactions between homeopathic and conventional medicines. https://www.homeopathycenter.org/what-is-homeopathy#safe , (National Center for Homeopathy).